Ho! Ho! Ho! 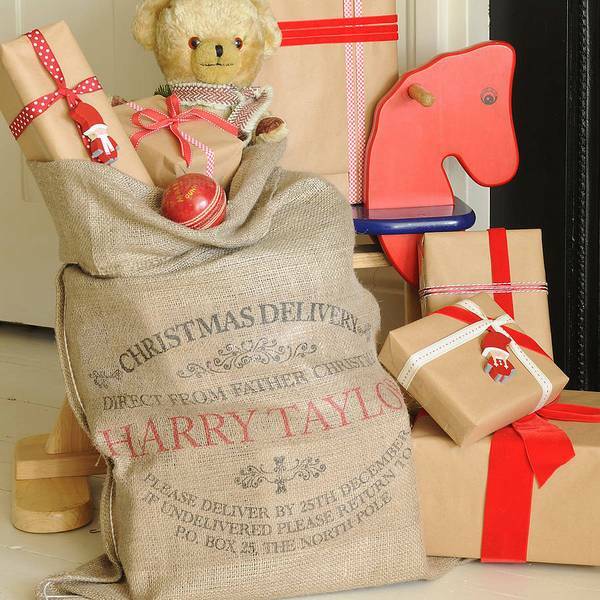 What’s in this festive hessian sack?! There’s various sayings about fashion and hessian sacks. While I’m not about to attempt any kind of hessian sack fashion statement, I am thrilled by the thought of owning one of these particular sacks. 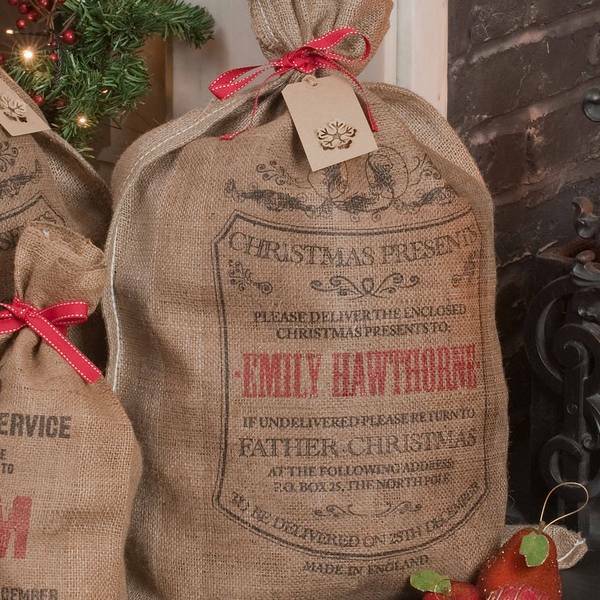 For a fabulous and very stylish alternative to Christmas stockings comes personalised hessian Christmas sacks from Harrow & Green. 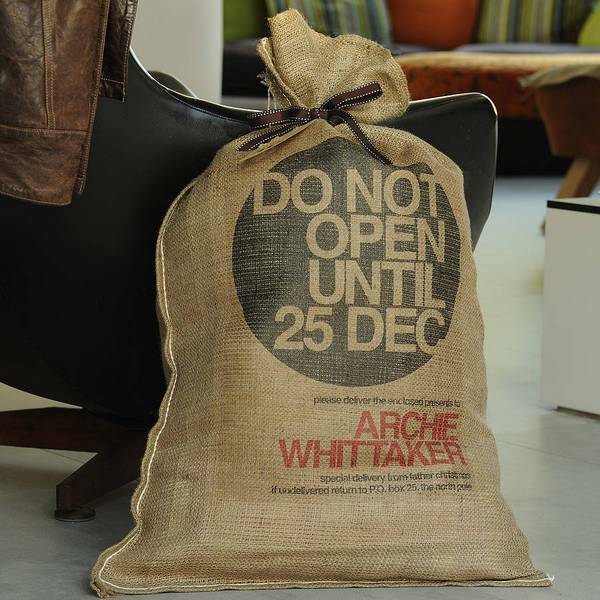 Designed and printed at the Harrow & Green studio in London, the sacks are available in four original festive designs including the vintage-style ‘Express Mail Delivery’ design or the modern Bryanston Sack, complete with the instruction ‘Do not open until 25 Dec’. Each design can be personalised with your child’s name. The hessian is obviously hard-wearing and will stand up to many, many Christmas mornings! 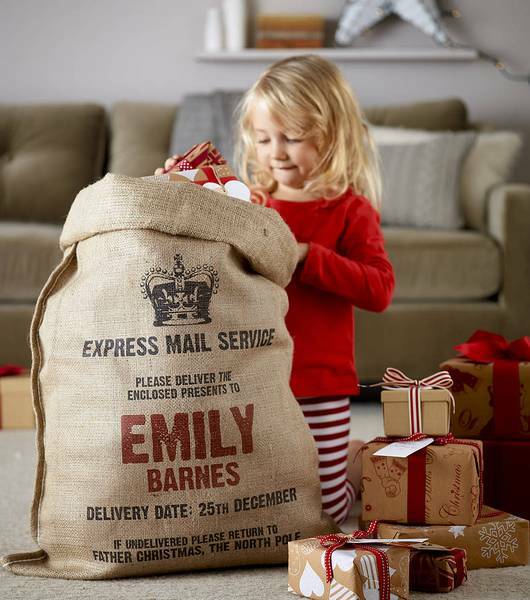 Find Harrow & Green personalised Christmas sacks at Not On The High Street for $33.50 each. Not On The High Street ship to Australia, but be prepared to pay $29 post per sack.